The baby faced assassin they call him, a poacher was what they saw in him as a player, loyalty and selflessness is what characterized him and a Man United legend is what he shall always be. Solskjaer had a long and successful spell at United winning a plethora of trophies and giving the fans a horde of unforgettable moments. Ole Solskjaer undeniably would forever be a part of United folklore, for he was the man who scored the winner on that epic night at the Camp Nou as Man Utd scripted perhaps the most unlikely comeback ever seen in modern football. Not long after, Solskjær had a steady induction in to coaching from the best in the business. Sir Alex Ferguson gave Solskjær the job of Reserves team head coach after he impressed coaching the first team strikers. 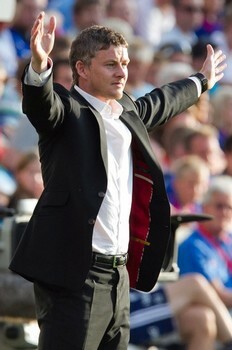 Solskjær said yes to the role in a heart beat and had some good successes in a short space of time winning both the Lancashire Senior Cup and the Manchester Senior Cup, as well as the Premier League Reserve League and also the north section of the same competition before leaving to take up his first full time managerial post. Along the way he moulded the careers of the likes of Welbeck, Cleverley and Eikrem among others. The success with the United reserves was never really going to go unnoticed, Ole knew it and so did Sir Alex. And then one day a call from Solskjaer’s ex club Molde came along to join up as their manager, the Norwegian couldn’t resist moving back home and yet away from the place he had called his ‘home’ for almost a decade and a half. 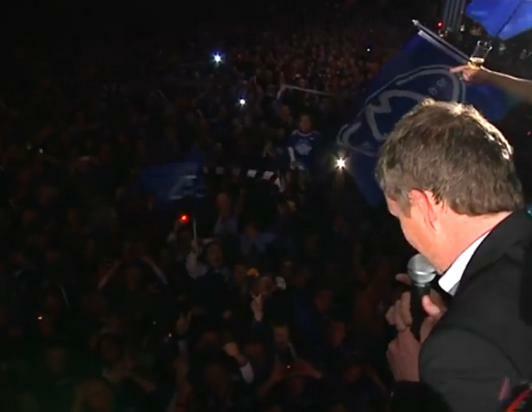 However, even with the prodigal son Solskjaer returning to Molde not many fans would have seen what was to come in the months to come. By all means a modest club with limited resources, Molde FK were not in title contention at the start of the season, in fact far from it having finished 11th in a sixteen team league the previous season. Critics were unsure of the move and most expected it to be a struggle for Ole at Molde and the first few games panned out a bit that way with Molde having far from a convincing start. But just as he had always returned stronger in his playing days after his injuries, he did it as a manager as Molde grew stronger as days and weeks passed by and Ole showed his own acumen in designing a tactical framework for creative players like Magne Hoseth and Magnus Eikrem to express themselves, Ole eventually took Molde to greater heights with one strong performance after another and ever closer to that all elusive league title win that had eluded the club in its 100 years of existence despite having come so close so many times, Molde had finished 2nd seven times and never done any better. Surely, this was it, no? And it was, Molde weren’t to be denied this time as they headed into their game against Stromsgodset. They needed a win to win the title with two games to go but a 2-2 draw was all they got. Yet with nearest rivals Rosenborg slipping up and losing 3-6 at home ensured Solskjaer earned his first piece of silverware as manager. 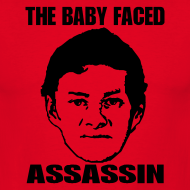 Compliments and congratulations from all corners of the globe, from the United, Molde and Premier League fans were bestowed on the baby faced assassin, yet there was one man who’d be smiling at it all seeing the success of his pupil, the man who saw it all in Ole’s reading of the game and who gave Solskjaer his big breakthrough as a coach- Sir Alex Ferguson. Fergie knew Solskjaer would make a good manager, whom he saw as the ‘man of destiny’, and surely the pupil hadn’t dissapointed his professor! So where to now Ole? Without a shadow of a doubt, what Ole has achieved at Molde is indeed magnificent and has portrayed himself as a capable man manager with strong tactical know how. Yet, it is inevitable that Solskjaer would eventually end up outgrowing the stature of the club itself and he would certainly move on to greater heights. Interest in him is already soaring, with Blackburn and Leicester City both showing interest in him in recent days, either vacancies could be hard for him to turn down if he indeed gets an offer but given the loyalty that he showed in his playing days, there’s no reason why he won’t reject them and stay at Molde to continue his own development as a capable manager. And this indeed would the wiser choice, Solskjær should stay and learn in Norway, he is out of the media spot light and able to concentrate on developing as a manager without the pressures that managers who dine on Europe’s top table face. As for United, Solskjær has already admitted he would love to manage Manchester United one day but also said “to manage Man United, you need to go somewhere else and learn your trade so 15, 20 years from now maybe”, reflecting how much he emphasises on experience as vital tool to learn your trade as manager. He understands how he needs time to develop in less of a pressure dome, acquiring more experience, so that the apprentice could mature into a master manager. Maybe one day he walks down that road of Sir Matt Busby way, assuming his duties at the very perch of the footballing world. Maybe it’s destiny that would make his ‘United dream’ happen seeing him strut his stuff at the same holy arena where he did all so well as a player. Whether all this happens, only time shall tell but what one can be sure of is that Solskjaer would always be a cult hero at United and no matter who wears the United’s number 20 shirt, nobody else would be remebered as a fondly as the super sub from Norway, the 20Legend. Previous PostQuote the quotes: The 25 most popular Fergie-ismsNext PostFergie at 25: A journey of belief, character and the hairdryer! Great Read! 20LEGEND foreva….One of the reasons I started watching football! !